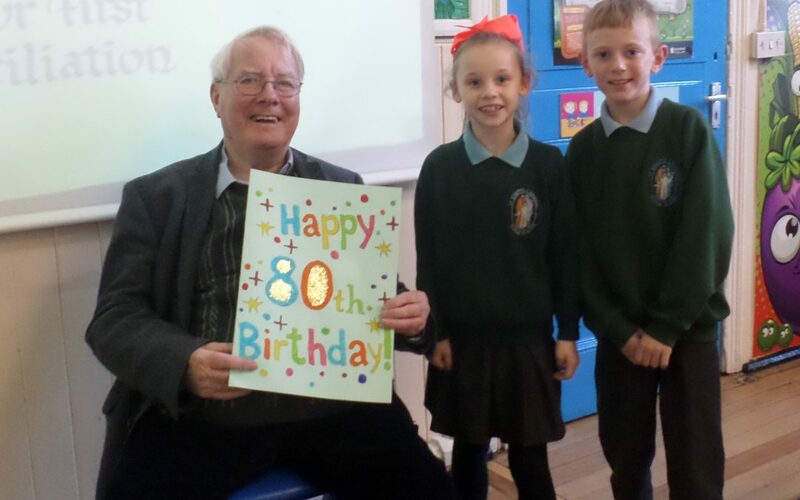 It was lovely to welcome Father Tony back into school this week, especially as we wanted to help him celebrate his 80th birthday! 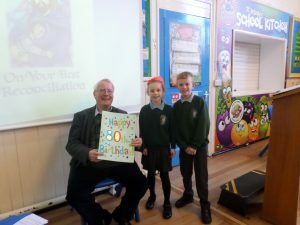 The children had made him a special card and were very eager to present it along with the traditional ‘Happy Birthday’ chorus and customary ‘three cheers’. Father said he was very touched that we had remembered and was especially pleased with the special prayer written inside by the children just for him.